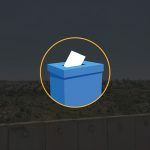 Quality education, proper infrastructure and sanitation, the presence of corruption, the demand for fewer high-rises and more resources – these were some of the focal topics in the municipal elections that took place in Israel over the last few weeks. Indeed, city council members and particularly mayors, possess substantial power and clout and – if truly committed – have the ability to bring about significant, real improvement in the lives of residents. This is true mainly in large, well established localities. In the weaker ones, even a highly committed mayor cannot create something out of nothing. The availability of resources is a function of the size of the local authority’s budget. In the weaker local authorities, these resources hinge on government funding and are derived from its priorities. There are two kinds of budgets allotted by the national government to the local government: service grants, primarily for education and welfare, and “balance grants” for localities with scant financial resources of their own. A study published by the Adva Center examined the amount of government support to local authorities, taking into account the size of the population in the localities, over two decades. It found that settlements outside the Green Line top the allocation-per-capita scale. In fact, this finding refers to non-Haredi settlements, as Haredi communities such as Immanuel, Beitar Illit and Modi’in Illit – lag far behind. When analyzing government allocations both for both service and balance grants, non-Haredi settlements outside the Green Line surpass development towns and Arab communities within Israel proper. This advantage in government allocations is a constant: in 1997 (the year the research began), the residents of Haredi settlements received service grants of about NIS 2,119 per capita, compared with NIS 1,777 per capita in development towns, NIS 1,311 in Arab localities and 1,259 in well-established cities (the Forum of 15) and just NIS 780 in Haredi settlements outside the Green Line. Over the last two decades there have been some shifts in the distribution, yet the highest amounts have always been directed to the non-Haredi settlements. The increase in government support of Arab localities within Israel proper is worth noting: In 2016, Arab localities received, on average, NIS 2,722 per capita, more than the NIS 2,220 per capita allotment in development towns. Positioned at the top of the chart are the ideological settlements outside the Green Line that received in 2016 on average NIS 3,248 per capita. This is also case with balance grants that are distributed only to localities with low self-income. Over the last decades, these sums were significantly lowered across the board but a comparison between Haredi and non-Haredi settlements reveals an interesting situation: in 1997, allocations were similar (NIS 2,516 and NIS 2,620 per capita, respectively), while in 2016 the average per capita grant to the Haredi settlements decreased to NIS 701, compared with NIS 1,025 in ideological settlements that continue to dominate the chart. Development towns are positioned at the bottom, as in 2016 they had to settle for balance grants in the amount of NIS 660 per capita. As stated above – the level of government funding has a significant impact on the ability of elected officials to keep their promises, provide and improve municipal services and programming. While the wealthier local authorities can rely on self-generated income (mostly from municipal property tax), the weaker communities depend on government in funding for the provision of services. The amount of government support to local authorities ultimately determines the quality of the services provided. The Adva study indicates that residents of non-Haredi settlements are privy to the highest municipal expenditure per capita: NIS 7,997 in 2016. This was higher than the average in the 15 richest cities in Israel, which amounted to NIS 7,834, and higher than the average municipal expenditure per capita in development towns (NIS 7,206), Arab localities (NIS 5,700) and Haredi settlements (NIS 3,868). The bottom line is that even if you have elected a magnificent leadership for your locality, one that truly has the residents’ needs and interests in mind, that leadership is limited by a concrete budgetary ceiling. The latter is dictated by geography and the national agenda that is set by the national government with very different considerations in mind than those of any specific local authority.